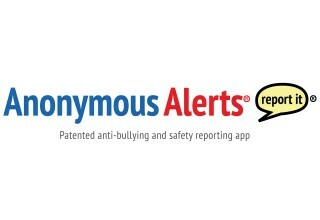 Anonymous Alerts® is proud to announce, in the midst of National Bullying Prevention Month, the high demand in Texas for its patented anti-bullying and safety reporting app for schools. The company’s Texas customer base has grown dramatically from July 2017 to September 2017. Over a 60-day period, more than 32 school districts have signed up for service with the company to help comply with David’s Law. The new David’s Law includes that by Sept. 1, 2017, all districts in Texas implement an anonymous reporting system for students to be able to report instances of bullying, cyberbullying, harassment and other student safety issues and concerns. Thousands of schools nationwide have made Anonymous Alerts® their tool of choice to combat bullying and safety concerns. 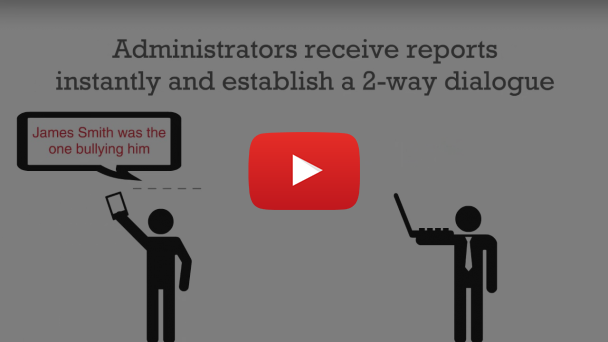 Anonymous Alerts® is the first and only true anonymous two-way communications service that empowers students to 'stand up and report it' by engaging in trusted, private, and encrypted school staff communications. Students can submit safety concerns related to bullying, cyberbullying, cyber harassment, mental health, drug and alcohol use/dealing, depression, weapons on campus, or other issues which may warrant immediate attention. In today’s society, using mobile apps for communication are ubiquitous among students. "Giving students a mobile way to communicate with principals, counselors and school safety personnel is vital to the safe, secure and productive learning climate we want to have in our schools," said Mario De La Rosa, Director of Safety and Security for Round Rock ISD, “With Anonymous Alerts®, students can maintain their anonymity and feel confident that someone will help to resolve any problems quickly." 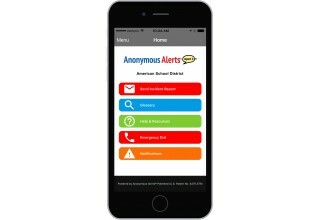 The Anonymous Alerts® mobile applications were developed to encourage students to quickly report bullying and other safety concerns on school and college campuses. Bullying, cyberbullying, drug use/dealing, depression, safety threats, and more can all be reported directly to authorized personnel through easy-to-use mobile apps and a hosted website. The mobile apps and systems are completely customizable for each client. Anonymous Alerts® is Patented (U.S. Patent No. 9,071,579) with additional patents pending. Anonymous Alerts, LLC is based in White Plains, NY and is rapidly growing throughout the United States and abroad. For more information, please visit www.anonymousalerts.com.